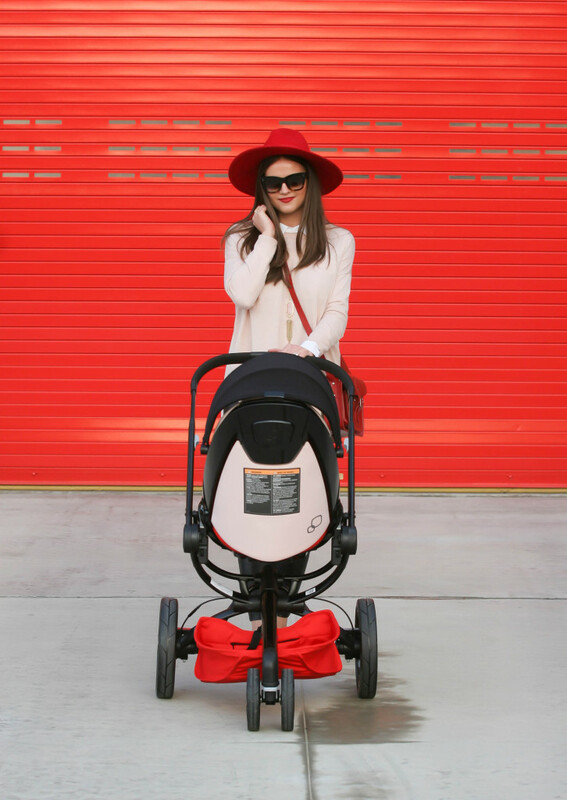 I’m already a fan of the Quinny Moodd stroller, as you may have seen in my last post about it, so when Quinny asked me if I wanted to share the new Bold Block version in a gorgeous blush pink and classic red color, of course I had to oblige! 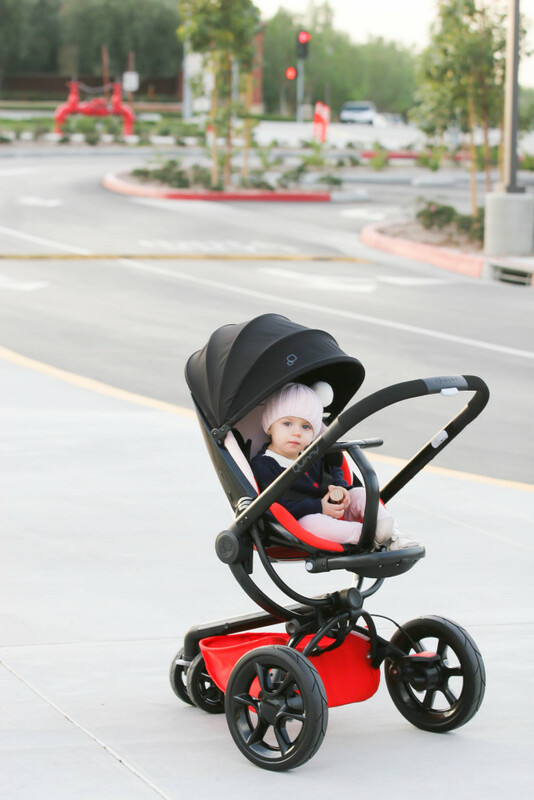 We keep our Quinny Moodd by the front door and use it for daily walks to the parks in our neighborhood. 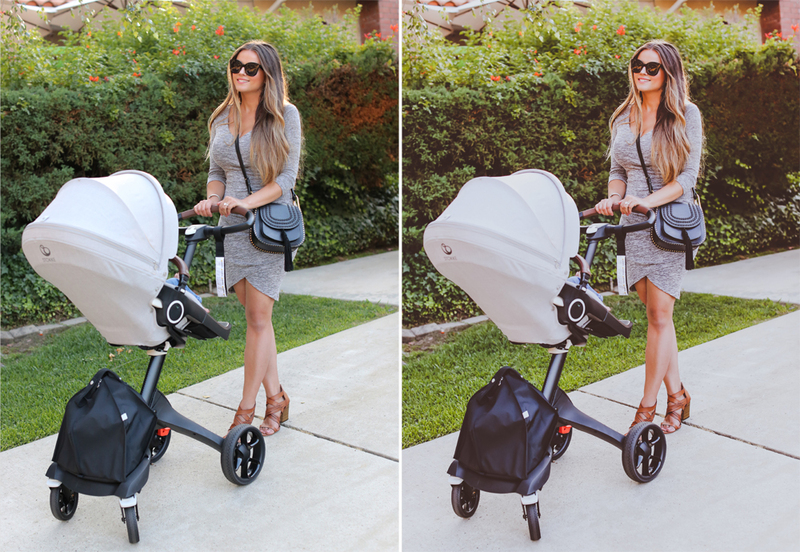 Spending some time outside every day is super important for everyone’s sanity when you’re both a stay-at-home mom and a blogger, by the way! I prefer to use my Moodd at home (versus my Stokke Xplory, which stays in the car trunk); it’s smaller and takes up less space indoors. I’m a fan of matching my outfits with my daughter’s because it’s just easier that way since I dress both of us at the same time. Not gonna lie, though — sometimes I like matching my baby gear too, haha! It’s not a daily thing or anything, but we had fun doing this little shoot. PLUS, this color combo is totally Valentine’s Day-appropriate. 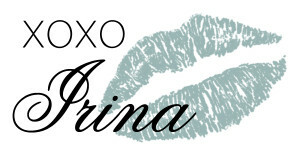 Speaking of V-Day, please let me know what you’d like me to post about!